I’m sitting here looking at my Netflix copy of “Twilight: New Moon.” No, I didn’t see it at the theater. I’m not a Twihard, or a Twimom. I did see the first one, but none after that. Now I need to watch it so I can write an article about it for work. But I changed my mind; I’m more interested in working on this blog post so Edward and Bella will have to wait. Maybe for an eternity. When I was a kid there was a certain awesome soap opera we loved. Not the type of soap opera you’re thinking of like “Days of Our Lives” or “General Hospital.” Though I admit I did love “Days.” That’s what we called it. My Mom loved “Days” and as kids we’d watch it, too. I can remember coming home from my full half-day of kindergarten and Mom would have a nice little lunch prepared: usually a half PBJ sandwich (or something like Land ‘o Frost turkey luncheon meat with American Cheese), a serving of potato chips, a half an orange and a glass of milk. Mom would bring the tiny kid table out into the living room so I could sit and eat my lunch with her, Dr. and Mrs. Horton and the rest of the “Days of Our Lives” family. Even when I was in college, everyone would schedule their classes around “Days” so we could be home to watch it. No, we didn’t have DVR’s to record it, or even VCR’s for that matter. Shoot, if we wanted to rent a video in college to play drinking games along with, we had to go to the one video store in town that had about 50 actual VCR’s that you could rent, because no one actually owned a VCR then. We’d have to put down about an $80 dollar deposit to take one of those VCR’s home for the night, too, and that’s a lot of beer money. Watching a video was something special back then, so we’d make sure we had a lot of people over and a lot of beer , and hopefully a rented copy of “Pee Wee’s Big Adventure” to laugh at—and to drink to every time Pee Wee did something ridiculous. Yes, we got pretty wasted. I’m sorry if you’re too young to know about Dark Shadows. It was the creepiest, campiest thing ever, and we loved it. I can’t remember specifics about the series, probably because I was just a little kid and I imagine I covered my eyes a lot. 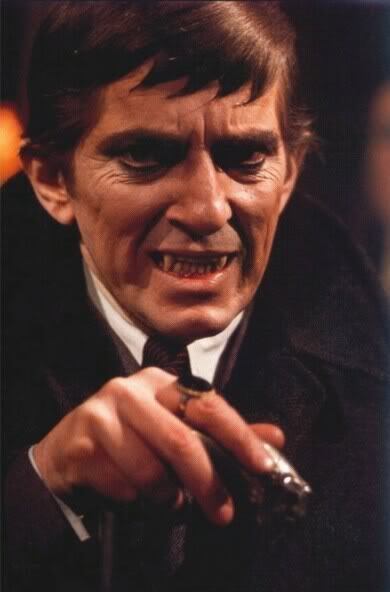 But the star was Barnabus Collins, a bonafide vampire, along with other creatures of the night all living (or not living) in some mansion in coastal Maine. 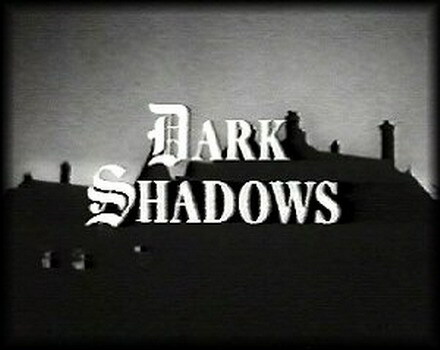 “Dark Shadows” also featured ladies with names like Angelique and Victoria to make it fancy. My sisters and I always loved scary stuff when we were little (still do) and “Dark Shadows” was the highlight of many an afternoon. It was second only to “Creature Features” on Saturday nights with that show’s creepy, campy host, Bob Wilkins. I think Dark Shadows is available on Netflix, so I’m gonna return this New Moon thing and throw Barnabus into my queue. Then, I think I’ll go string myself a garlic necklace just for good measure. Anyway, my sweet little Grandma Coen only stood about 5 feet tall, but she had a big presence. She was everyone’s favorite. My Dad said that when he and his brothers were teenagers they would get in some knock-down, drag-out fist fights, and little Grandma would jump in the center to try and break them up. They would stop pummeling each other long enough to pick up little Grandma and set her gently aside, and then go back to pounding each other. As adults, they still called her Mama. And Grandpa was Daddy. But to us kids, Grandpa was B.K. That’s short for Benjamin Kenneth. Remember, given names are just a bit too much for the Coen clan. Just educating you all for future blog posts. Grandma and Grandpa knew the hardship of the Great Depression and could make a meal out of anything. While Grandma was no chef, she sure put a lot of love into her cooking. And she loved making elbow macaroni with red sauce. I loved eating dinner at her house, because, well, that meant I didn’t have to eat dinner at my house. The only thing that sucked at dinnertime was that there was a large dining room table that fit 10 people (the adult table), and a Formica dinette that seated four. I’ll be DAMNED if I ever moved my way up from the little kid table in the kitchen to the glorious, expansive dining room table. 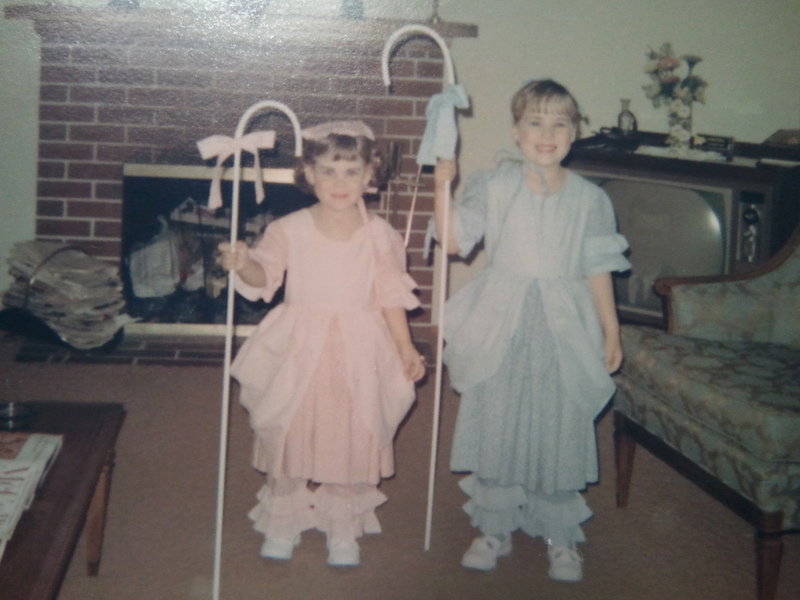 I was always stuck at the little one with the two youngins, my little sister, Pooh, and my little cousin, Robbie (usually still wearing the blue eye shadow we applied while trying to dress him up like a girl earlier in the evening). They were seven years younger than me. My oldest sister, Tracy, was always at the adult table, and my younger sister, Coleen, who outgrew me at age 9, even made it to the adult table before me. I did actually sit at the adult table once when I was about 29, but there was nobody there for me to show-off for. I’m not even sure Grandma remembered which grandkid I was by then. Pour sauce, paste and water into a large pot and simmer on low. Fry the ground beef, and Lordy! Don’t drain the fat!! Pour it all into the pot that is heating up the sauce and water. Boil the macaroni as directed. When the macaroni is done, pour that into the pot also, and then season with salt and pepper. And season again. Maybe again. Don’t forget to serve this with some sliced white bread and a cube of butter. Make sure the butter is still cold enough to tear up the bread a little. If you’re feeling ambitious, heat up some canned green beans on the stove. And please open a can of black olives so the kids have something to put on their fingertips.